Peace Talks mediators stand out as a can-do, make-it-happen, expert with a strong commitment to finding solutions that work for all parties -- precisely the kind of people who you want on your team. Highly recommended. 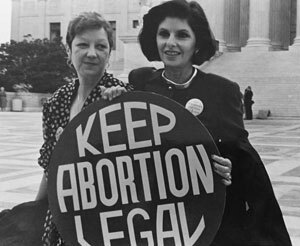 Norma McCorvey (Jane Roe) and her lawyer Gloria Allred on the steps of the Supreme Court, 1989. The SCOTUS nomination is at the center point of what women are facing with respect to their fight for access to the proper healthcare to which they are entitled. I saw one idea suggesting people send postcards to individual Senators by the millions if they can’t mobilize in any other way but want to do something. You’ll see more information about opportunities to raise a voice as they appear. “The president promised to nominate only justices who would overturn Roe v. Wade, …and there is no reason not to take Mr. Trump at his word”…at least on this point. The same should hold true about Donald Trump’s replacement for retiring Justice Anthony Kennedy which means that the Senate must reject Trump’s nominee Brett Kavanaugh. Whether or not anybody ever actually said that doesn’t matter; it’s the message that counts. 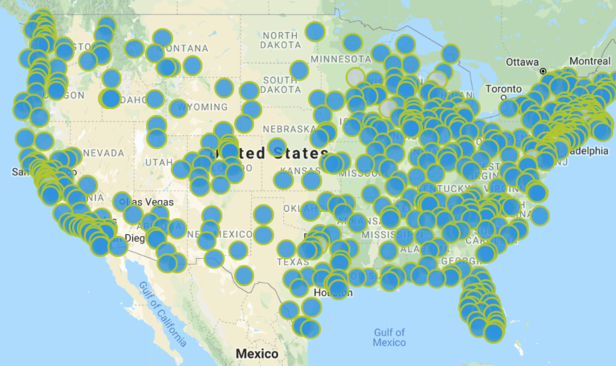 The power that exists in the hands of the people looking for a betterway to handle our current problems was exhibited this weekend across the country. I have included a graphic, to enhance the optics of the event. Here are some links to sources of action. Some of this is tied into the retirement of Justice Kennedy and the inherent potential threat to Roe vs. Wade represented by President Trump’s likely nominee.